If a multi-faceted approach to instruction/learning would help meet the needs of your children, please contact us. We welcome students who need to take a course or even a few courses at Heritage Academy while maintaining a homeschool emphasis. Homeschool students are expected to abide by all guidelines for fulltime students concerning conduct, appearance, attendance, uniforms, and class rules. Homeschool students taking classes on campus need to arrive 10 minutes prior to the beginning of class. Students need to be picked up within 10 minutes of the conclusion of the last class he/she is taking unless alternate arrangements have been approved by the office. 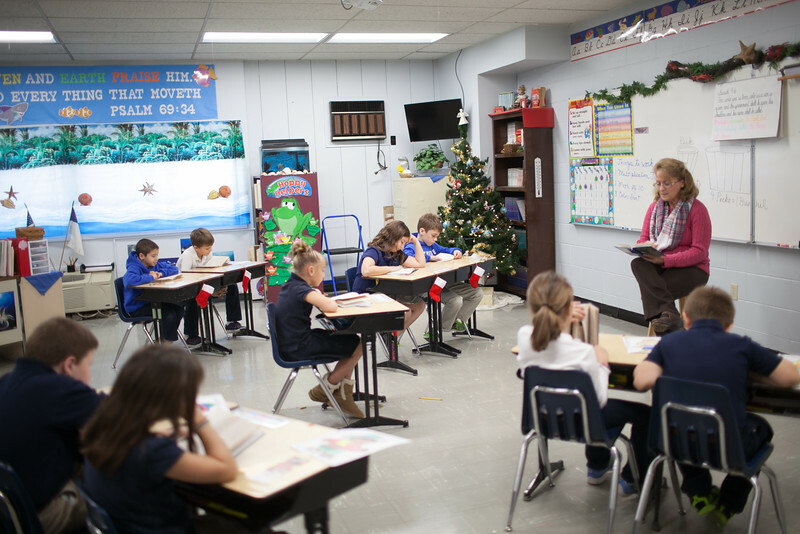 If a student takes multiple classes, they need to occur in consecutive order. If there is one period between desired classes, a student will need to report to a study hall. A maximum of one study hall is permitted for students taking either two or three academic classes. View our Homeschool Policy and pricing here.